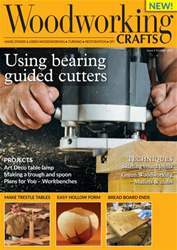 In issue 6 of Woodworking Crafts, in ‘Power woodworking’ Gary Rogowski makes a versatile trestle table; Simon Rodway makes a workbench; Louise Biggs constructs an oak frame for three stained glass panels; the Editor looks at bearing guided cutters; Mark Sanger makes an turns a hollow form; and John Swinkels conjures up a magic wallet. 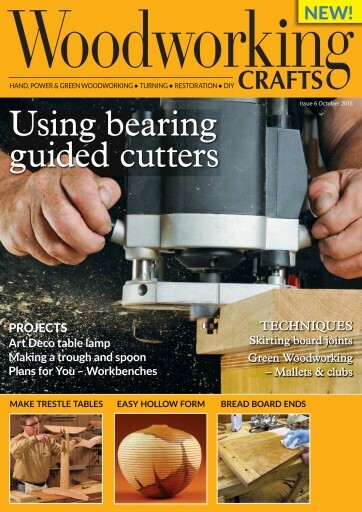 In our ‘Hand woodworking’ Michael T Collins creates a cutting board; Lee Stoffer shows you how to make a basic club; Ben Law shows you how to make a Swedish style tough; Peter Sefton looks at lippings; the Editor asks ‘What’s your vice?’; and makes a lamp base. 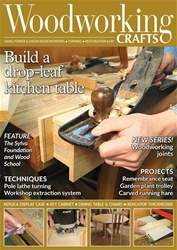 We also have Amber Bailey talking about traditional craftsmanship – reproduction of 19th-century marquetry; and the Editor looks at skirting joints in our ‘Recycling and restoration’ section. 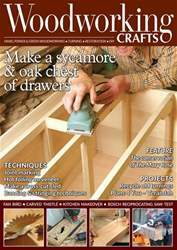 Finally, we have lot’s for you to enjoy in our ‘Community’ pages, including; the latest news and events; we have our ‘Q&A’ page; we share with you some hints, tips and jigs; in a new group review, we focus on Tonkinois varnish; we have Kit and Tools page, a sneak peek at our next issue; book reviews; Woodland ways; and Simon Rodway makes a bay window in Woodworking Geometry. 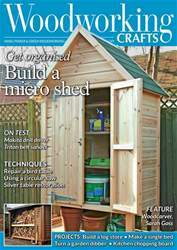 All this and more in issue 6 of Woodworking Crafts, so be sure to get yourself a copy!